Hard to get much work done this past weekend, what with the din drifting across the border, so it seems somehow appropriate that I came across the item below, printed fifty years ago today in the 23 March 1960 edition of the Milwaukee Journal. 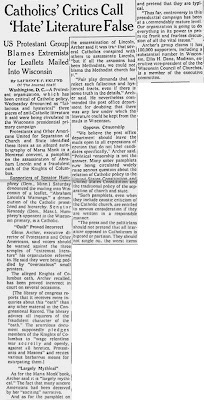 A full 124 years after publication – a full 124 years after it was discredited – and still Awful Disclosures of Maria Monk was being paraded about by religious bigots. 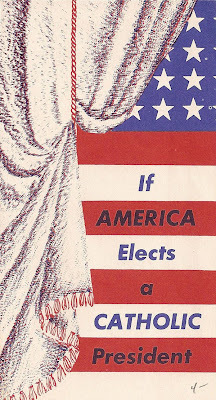 Here it joined old frauds Abraham Lincoln's Warning and the bogus Knights of Columbus Oath, along with newer works like Do you Want the Pope for a President?, written specifically with Kennedy in mind. I dare say that the book credited to Montrealer Maria is the most interesting of the bunch. I want to make it clear that I am a Christian miniskirt. That is, I go to church every Sunday. What's more, I attend an evangelical Church. Of course, I am not the only Christian miniskirt in town. There are many others who go to my church. Though we represent a variety of colors and patterns there is one thing we have in common. We all have a way of revealing attractive thighs, especially when the legs are crossed. They tell me that's the most comfortable way to sit. Unless I am misreading the situation we seem to make our wearers a bit self-conscious. At least the girl who wears me is always tugging at my hem. Though I am not an expert on human nature, this appears to indicate some kind of complex. I have also noted that we miniskirts have the ability to attract a good deal of masculine attention even at church. At first I took pride in the fact that men are fascinated by my pattern and color design. However, just this morning I heard the preacher say that this was not really what the young men (some not so young) were looking at. 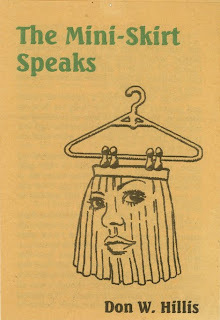 Though I was all ears when he started to preach, "The Appeal of a Miniskirt," I was embarrassed before he was through. Imagine the stories Ann Coulter's little black dress could tell. My thanks to Marc Fischer of Public Collectors for the image of Pastor Hillis' tract. 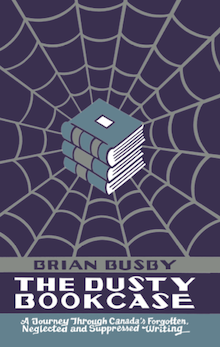 That copy of Fire Will Freeze from last Thursday was part of International Polygonics' Library of Classic Crime. 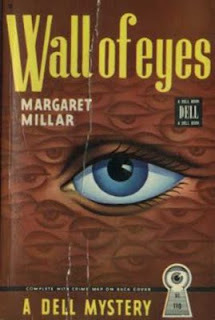 The publisher released eighteen Margaret Millar titles in all, not one of which was blessed with a good cover. Sure, some were passable, but others, such as that gracing Vanish in an Instant, were just silly. Pity I couldn't find a larger image. A good many paperback houses have published Millar over the decades, but for my money the very best covers were all done by Dell. 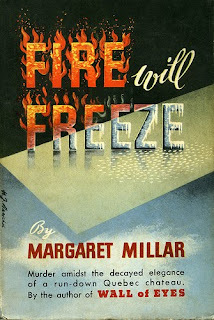 Just look at their 1947 edition of Fire Will Freeze. Death putting on his skis. What a sportsman. 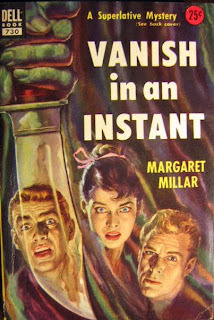 "America's grand dame of the genre", says the cover, yet Margaret Millar was Canadian. A Kitchener girl, born and bred, it seems that whenever her name is mentioned today it's as the wife of Kenneth Millar – better known as Ross Macdonald. The couple met as students at the Kitchener-Waterloo Collegiate Institute; their respective literary debuts were published in the same 1931 school annual. 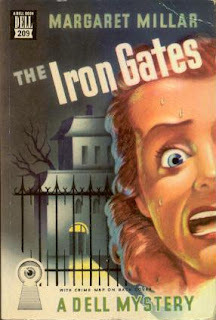 Margaret's 1945 novel The Iron Gates – set in World War II Toronto – paid for their Santa Barbara home and gave Ken the freedom to pursue a career as a novelist. I pass on this dry account as a bit of an introduction. 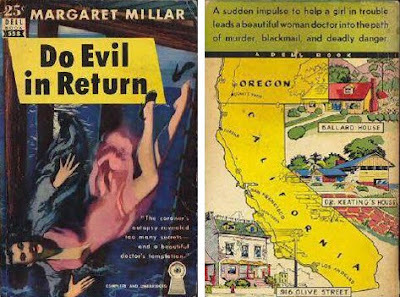 Once a president of the Mystery Writers of America, winner of the Edgar Award, Margaret Millar has been done wrong on this side of the border. Not one of her 27 novels has ever been published in Canada. I'd read some Ross Macdonald, was aware that his parents were Canadian, and had known that he'd grown up in Kitchener, but never had an inkling that his wife was an accomplished and acclaimed author in her own right until I received this book from a friend who was working for her New York agent. 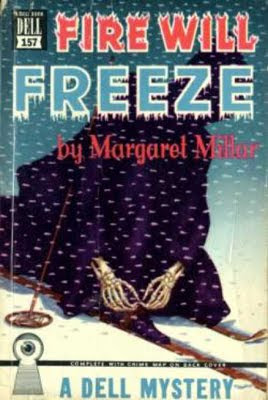 First published in 1944, Fire Will Freeze is one of many novels Millar set in her home and native land. It begins on a "Sno-bus" being driven to a "Sno-lodge" in the midst of a Quebec "Sno-storm." 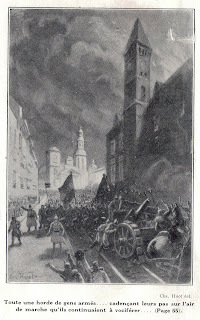 The driver disappears, the passengers take shelter in an large house, and people begin to die. What seems such a standard scenario, is enlivened by Millar's use of black humour, well-realized characters and, for we Canadians, occasional references to Westmount, the Montreal Star and Ottawa Citizen. When it first saw print, publisher Random House tried to sell Fire Will Freeze as a mystery set in a "Quebec chateau." 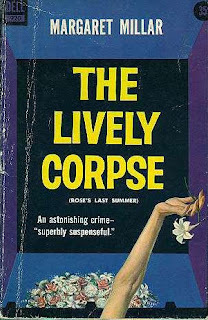 I wonder whether this misleading description roped in many American mystery buffs? 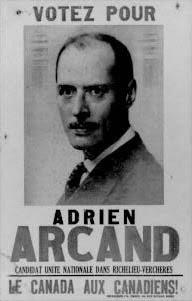 The setting does sound exotic, but what I found more interesting – here comes the spoiler – is the introduction of Pierre Jeanneret, inspired by self-described "führer canadien" Adrien Arcand, who leads a fascist organization called French Canada for Frenchmen. Le Canada français aux Français? Le Canada français aux hommes français? Millar doesn't tell us. Some people deserve to be forgotten. 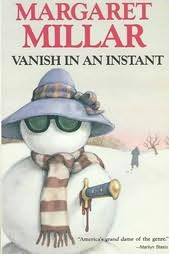 Trivia: Millar's Quebec novel has appeared in both French (Omelette canadienne) and Dutch (De sneeuw bleef niet wit). The latter – which I translate as The Snow was Not White – seems a superior title. 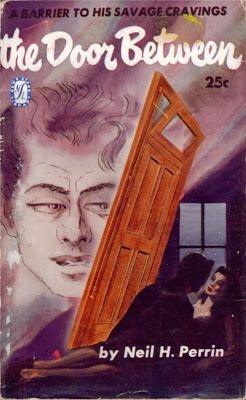 Object: Roger Roth's cover illustration captures something of Millar's humour, but depicts a scene not found in the novel. The design is most unpleasant and the paper is as white as the driven snow. 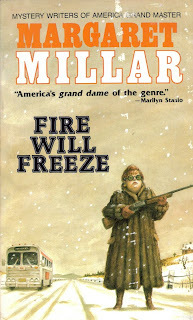 Access: The Kitchener Public Library has a very large collection of Millar titles, but not Fire Will Freeze. Of our public libraries, it appears that only that serving the good citizens of Toronto has a copy. Academic institutions don't fare much better; it's held by only five. Used copies range in price from one American dollar (for the International Polygonics edition) to US$125 (for the Random House first). 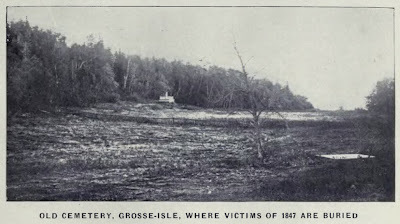 "Grosse Isle", a memorial poem by forgotten Ontario poet Thomas O'Hagan (1855-1939), himself the son of Irish immigrants who were once housed in the island's quarantine sheds. This version is drawn from J.A. 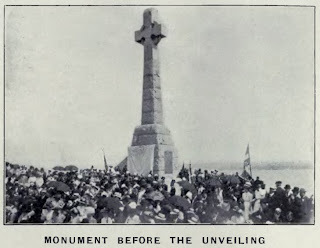 Jordan's The Grosse-Isle Tragedy and the Monument to the Irish Fever Victims, 1847, published in Quebec City by the Telegraph Printing Co a few months after the 15 August 1909 unveiling of a new monument to those who fell... victims of typhus, within sight of the new land they'd hoped to call home. I grew up in a house of books, but not a family of writers. Not really. My father had just begun work on what might have been his debut, a history of the CBC, when he was struck down by a heart attack at age forty-two. Two decades later, his younger brother, my uncle, co-authored a slim volume on the Anglicans in Mission program. 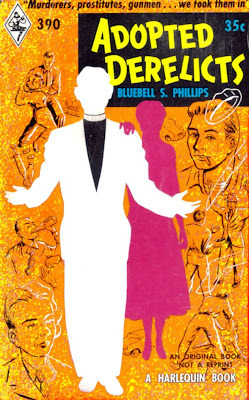 As a kid, the only writer I knew was Bluebell Phillips. A generation older than my mother, Mrs Phillips was an occasional visitor to our house. I don't think she crossed the threshold more than once a year, but when she did Mrs Phillips always left behind a copy of her latest book. 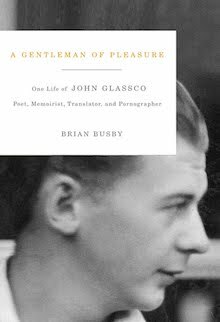 The Plate Glass Sky, Selected Poems, A Glass Prairie, Windrush, The Alleyne Curse... these looked for all the world like vanity publications. Still, I was in awe of this elderly lady. I knew that there had been other books in the past; books published by real publishers. Ryerson had put out Something Always Turned Up and The Fair Promise had been published by Robert Hale – in England! 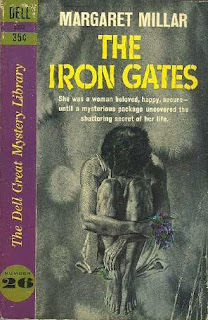 Though both were hardcovers, the height of accomplishment to my young mind, the book to which I was most attracted was this mass market paperback. "Murderers, gunmen, prostitutes..." promises the cover. What adolescent could resist? For more than a decade Mrs Phillips and her husband, Rev Gordon Phillips, had welcomed newly released prisoners to share their five-room Montreal apartment. I read and reread about the crimes these houseguests had committed. Down and out lovers Joe and Lillian supported themselves by shoplifting, petty crook Abie Cohen was framed for bank robbery and a very passable transvestite named Willa ended up in the Bordeaux prison after fending off an assault by an "aggressive Lesbian". Titillating and exciting, yes, but Mrs Phillips' goal was to show "the WHY as well as the WHAT of their anti-social behavior". Her hope was that the reader would come to sympathize and raise a voice in support of cure in place of punishment. Revisiting the work after all these decades, I see much that escaped me. I overlooked the larger story... the one of a generous couple who had dedicated themselves to helping these folks become a part of society. That they succeeded even once is so much greater an achievement than having had a book published in hardcover. Something else I missed: the Acknowledgements features thanks to M Busby, my father. Trivia: The Fair Promise was published in West Germany as Ein zärtliches Versprechen. 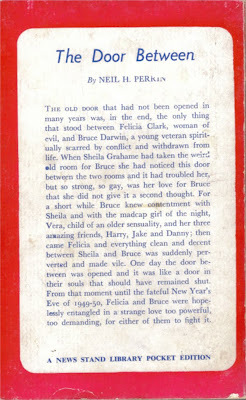 Object and Access: A typical Harlequin paperback. 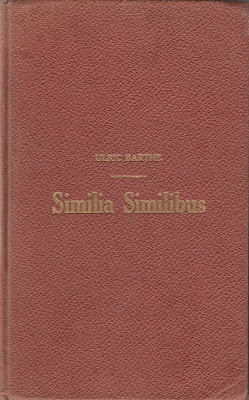 There are currently only three copies offered online, none of which is in particularly great shape. Expect to pay somewhere in the range of ten dollars. 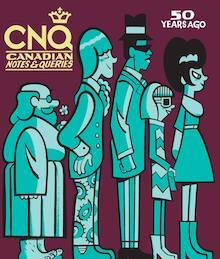 It would appear that only Library and Archives Canada holds a copy. Their zeal for self and God, their unglued dreck. A few final thoughts on writer Sarah Palin's visit to Calgary. Organizers tinePublic Inc billed the event as the former governor's first talk outside the United States. This wasn't at all true – just last September she delivered an 80-minute speech at the CLSA Asia Pacific Markets Forum in Hong Kong. Nor was it right to advertise that Pamela Wallin would serve as the "moderator" of a "Q&A session". The senator was the only person accorded the privilege of asking questions. In short, she was an interviewer, not a moderator... and the "Q&A session" was what we sticklers refer to as an "interview". My first five years of life we spent in Skagway, Alaska, right there by Whitehorse. Believe it or not – this was in the 'sixties – we used to hustle on over the border for health care that we would receive in Whitehorse. I remember my brother, he burned his ankle in some little kid accident thing and my parents had to put him on a train and rush him over to Whitehorse and I think, isn’t that kind of ironic now. Zooming over the border, getting health care from Canada. Palin's only reference to health care, it caught the attention of a number of journalists, but not the seasoned Pamela Wallin, who never thought to ask how the story fit in with the former governor's harsh dismissal of Canada's medical care. But then the senator is no longer a journalist; her role was to lob easy questions as Stockwell Day, Rob Anders and Lee Richardson looked on. Update: Calgary Herald reporter Jason Markusoff has found a contradictory account of accident-prone brother Chuck Heath, Jr's treatment; this one involving a slow ferry to Juneau. The dark days of prorogation may have ended, but don't expect to see Pamela Wallin on the Hill today; the senator will be preparing for tomorrow's event with Sarah Palin. When announced last month, eyebrows were raised. Why would Wallin agree to host an evening for the disgraced and disgraceful former governor of Alaska? After all, Palin is considered something of a joke – albeit a dangerous one – by most of us living south and east of her state. More to the point, an overwhelming majority of Canadians don't like this woman. What is going on here? There's little to read into Saturday's event. Pamela Wallin's gabfest with Sarah Palin represents nothing more than another few inches in her long, slow drift across the political spectrum, beginning with the New Left Waffle group in the early 'seventies. Give Wallin enough time and she'll become the Nationalist Party's first senator. Those who say that appearing onstage with Palin is a bad move are reminded that Wallin has never demonstrated political savvy – after all, she's never had to. Sure, she's a senator, but the Who Wants to Be a Millionaire? quizmistress never once ran for public office. Her greatest political move – inadvertent, surely – was that 1988 interview she had with John Turner. You know, the one in which she went on and on about suggestions of "a drinking problem", "long lunch hours", "a wrong decision", "a bad decision", "a drinking problem" and "drinking". Oh, and then there was that thing about his drinking. Several months later, Turner lost the federal election. He was replaced by rival Jean Chrétien, who subsequently named Wallin Canada's New York Consul General. Observations? A rant? All serves as an introduction to this failed attempt at cracking the very lucrative self-help market. A "national bestseller" claims publisher Key Porter. Don't you believe it; Speaking of Success never shared the lists with John Gray, Richard Carlson and Dr Phil. And do not be fooled by the cover. 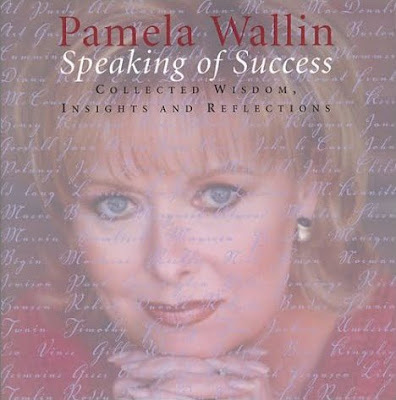 The wisdom, insights and reflections are not Wallin's, rather they come from those she's interviewed. Henry Kissinger is quoted, as are Nana Mouskouri, Jack Klugman, Linda Evans, Phil Collins and Ed McMahon. "Words are one thing. Actions are another", offers deep-thinker Sarah Ferguson. 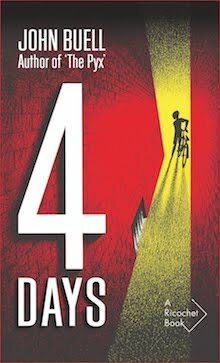 Not that Wallin has no role in the book. She introduces each life-changing, ground-breaking theme – "Doing Your Homework", "Embracing Change", "Learning from Experience" – then provides bridges between quotes: "Neil Peart talked to me about the importance of keeping an open mind as time marches on:... Martha Stewart, a control freak after my own heart, made a similar point:... But that will be easier said than done, as author Ann-Marie MacDonald explained:..."
"I can only hope you've enjoyed your flight with the eagles", Wallin concludes, addressing the earthbound reader. What words of wisdom will soaring eagle Sarah Palin offer, I wonder? What insight and reflections might she provide? To what heights will she take her audience? How much carrion will she consume? Seems that at some point there will be a Q & A session tomorrow night. Would that I could be there; I'd ask Senator Wallin about the presence of the Stars and Stripes in her homepage banner... and why it trumps our own flag. Object and Access: A squarish book, 263 pages in length, it was published in hardcover and paperback. 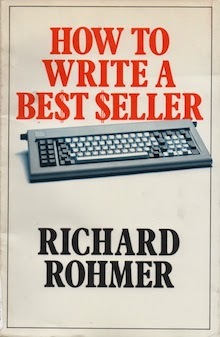 Unread copies of the first edition are listed online for one dollar. A common book in our public libraries.